Another beautiful week of weather coming up! Check the weather at Mawgan Porth with this live webcam! Our guests are enjoying the weather this week! It seems like summer has suddenly arrived, and our guests are enjoying the sunshine. If you’re out in the sun this week, don’t forget your suncream, sunglasses, and hats (especially for little ones). We recommend lots of cool drinks, avoiding the mid day sun, and making the most of the warm evenings by eating outside. 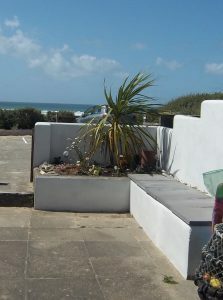 Both of our houses have outside seating areas which I’m sure our guests are making full use of this week!